The Super Bowl halftime shows are amazing. There is always a big hype about who is performing, and rightfully so, they usually rock pretty hard. However, just as amazing as the performance itself is the logistical plan behind it. For real. You try to set up a stage of that size in that amount of time and see how it turns out. The point here is that without a good crew, there ain’t much else. To that end we see the introduction of the Joe Rocket Crew Jacket. Though this is not a motorcycle jacket and does not have the proper protection/materials to think that it would do any good at all on a bike, it is exactly what the members of your team/crowd will need to stay warm/dry while they watch you rip around the track. 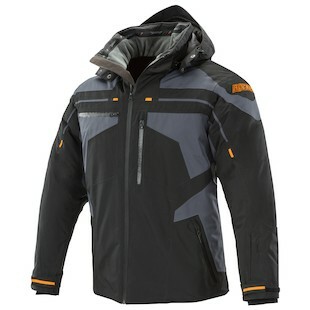 With thermo-insulation and a warm fleece internal liner for the torso and collar, the windproof and water resistant jacket is ready for a variety of conditions. From the internal lyrica comfort cuff to the built-in palm warmers, your crew will have all that they need to help you go fast when you pull into the pits. 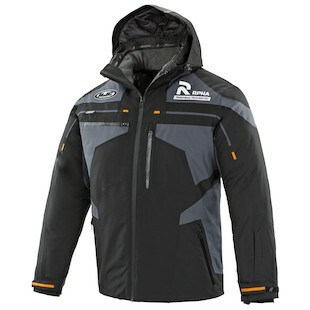 If you are the kind of rider who prefers to have a little more branding, the Joe Rocket RPHA Crew Jacket is exactly the same as the standard, only it comes with the HJC RPHA logo prominently displayed over the left chest and the HJC logo itself on the right. For riders who are rocking the popular RPHA series of helmets, this is a cool option that can augment your day at the track. 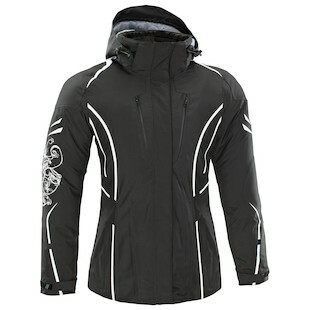 Another iteration of this piece of gear can be seen in the Joe Rocket Women’s Crew Jacket. As with the RPHA Crew Jacket, the Women’s version is set with all of the same functionality as the men’s original, yet cut with more feminine lines. While men’s jackets can often times be more boxy and broad, the Women’s Crew is going to have more of an hourglass cut to the overall fitment. So no matter if it is your supporting crew or you are doing the supporting, Joe Rocket has you in mind with the new line of Crew Jackets.